Next month, Wenaas Workwear – in collaboration with Norwegian research institution SINTEF – will launch a new generation of game-changing workwear, which increases the recommended outdoors time of workers in the Arctic by 100%. The oil and gas industry is stepping up its activity in the Arctic Circle. However, the extreme weather conditions of the Barents Sea represent a massive challenge, as the combination of freezing temperatures and heavy winds make outdoors operations much tougher than in the North Sea. Wenaas Workwear, the traditional Norwegian manufacturer, has been developing workwear for the oil and gas industry since activity began in the North Sea. Last year it initiated a scientific project with operators Statoil and Eni Norge, being granted financial support from The Research Council of Norway. 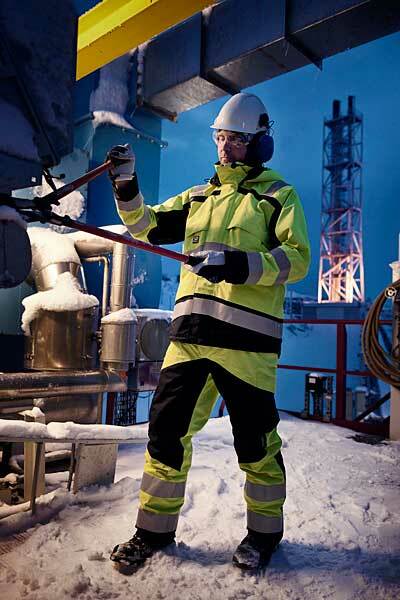 In order to create the ground-breaking workwear range, researchers at SINTEF’s headquarters in Trondheim have carefully monitored a variety of simulated offshore tasks in a laboratory where temperatures are set to 25° below zero – the conditions awaiting oilrig workers in the north-eastern part of the Barents Sea.